Have you tried fabric weaving yet? 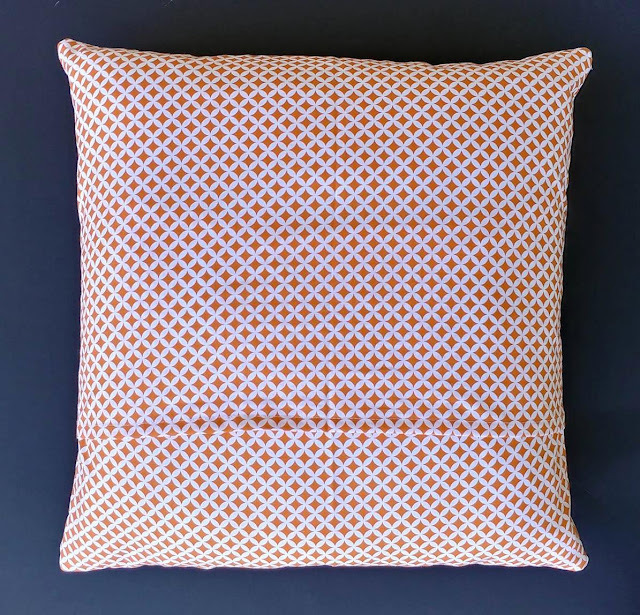 I first attempted fabric weaving last September which resulted in a fun hexagon pillow. Then I tried my hand at a different weaving design for one of the Project Quilting challenges in February. I just love the texture that weaving creates! Next month, I have a new weaving opportunity - I'll be teaching a fabric weaving class at Crinklelove in Springfield, Missouri! I am so excited for this new venture! 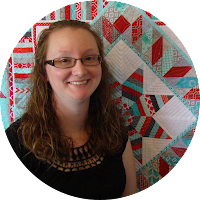 This will be my first time teaching a quilting class! 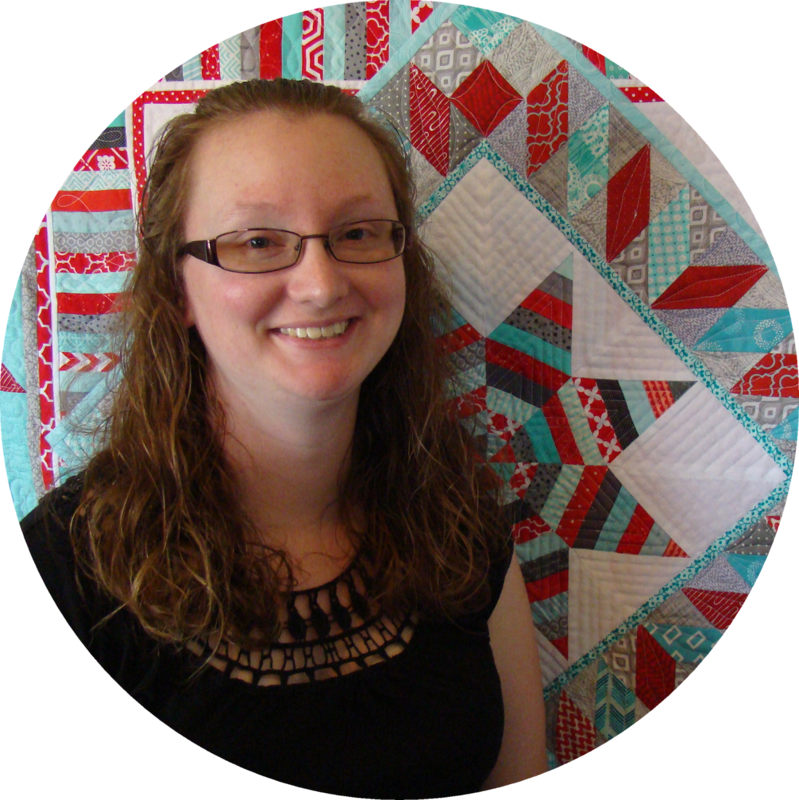 I really love teaching, so I'm stoked to be able to combine my teaching experience with my passion for quilting! I needed to make a sample for the upcoming weaving class, so this pillow is the result. 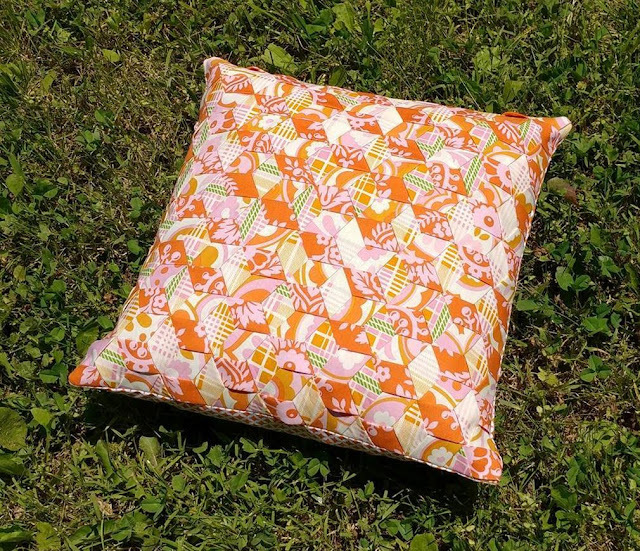 The pillow is made with Up Parasol fabrics by Heather Bailey for Free Spirit Fabrics. I just happened to have exactly the right amount in my stash! I'm determined to start using up my stash! 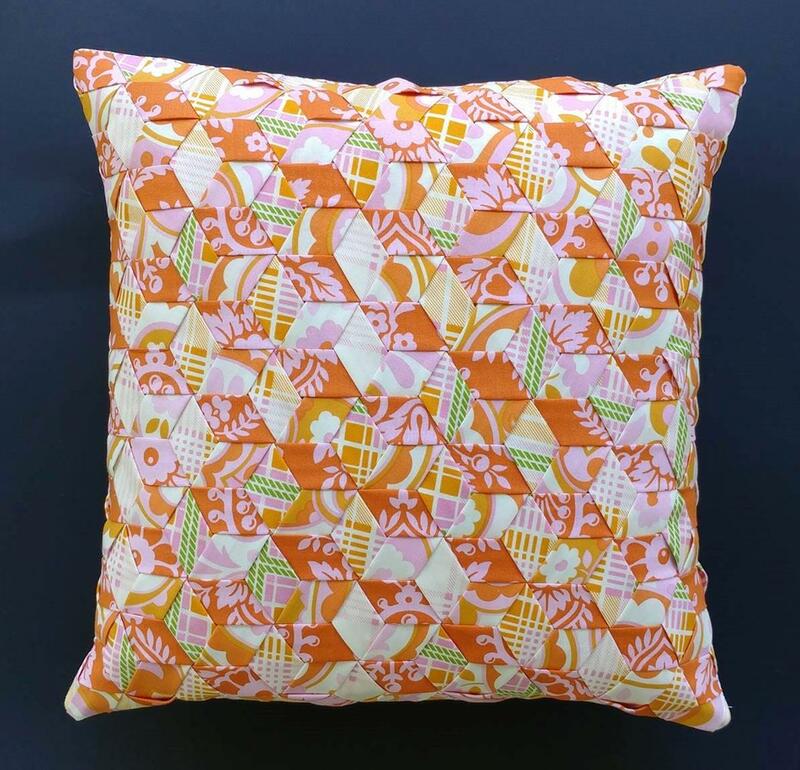 I need to have several different pillows in different stages of completion for the class. 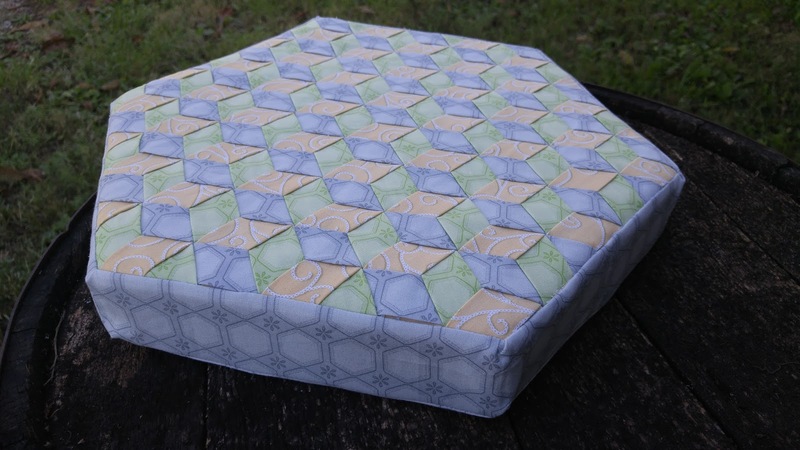 Which means I'll have several pillow finishes next month! I would love for you to join us for the fabric weaving class at Crinklelove on June 10th! Check out all of the current classes on their website here. 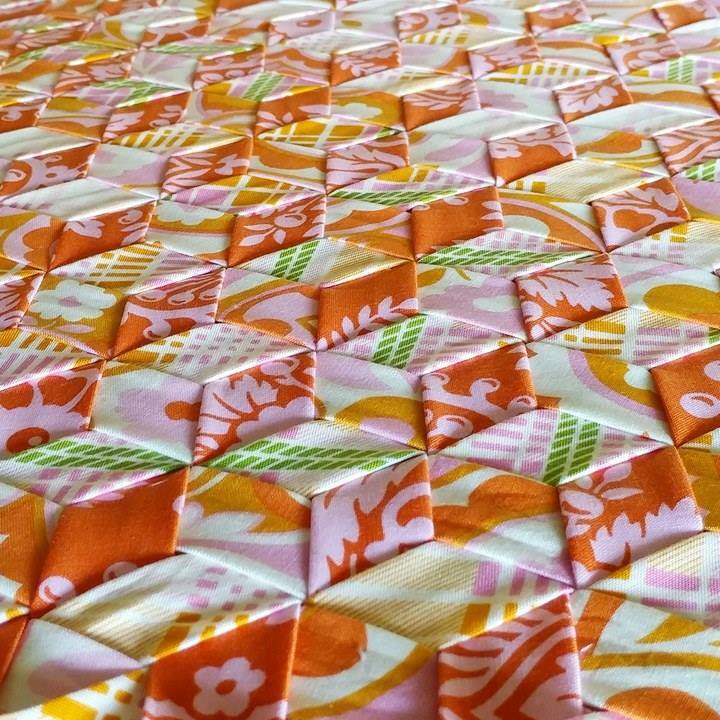 Linking up to Let's Bee Social at Sew Fresh Quilts, Needle and Thread Thursday at My Quilt Infatuation, TGIFF at Lisa in Port Hope, Can I Get a Whoop Whoop? at Confessions of a Fabric Addict, Finished or Not Friday at Busy Hands Quilts, and Finish It Up Friday at Crazy Mom Quilts. Good luck on your first class. Having taught for many years I often type up my class so I have a reference point and don't get lost - or if I don't teach it for awhile it is all there. Wish I were closer, looks like a great class! Oh, I saw fabric weaving for the first time in Paducah, it looked really cool and the texture was fabulous, I couldn't stop running my hands over the sample. Good luck on your first class! I'd come if it was close to me, I want to learn how to do it. I purchased the wefty while I was in Paducah. Looking forward to trying it...your projects are beautiful! That fabric weaving is really neato! You will have a lot of fun teaching your class. Don't forget to take pictures so you can blog about it! I've been wanting to try weaving and have my wefty tools! What size of bias strips did you go with? 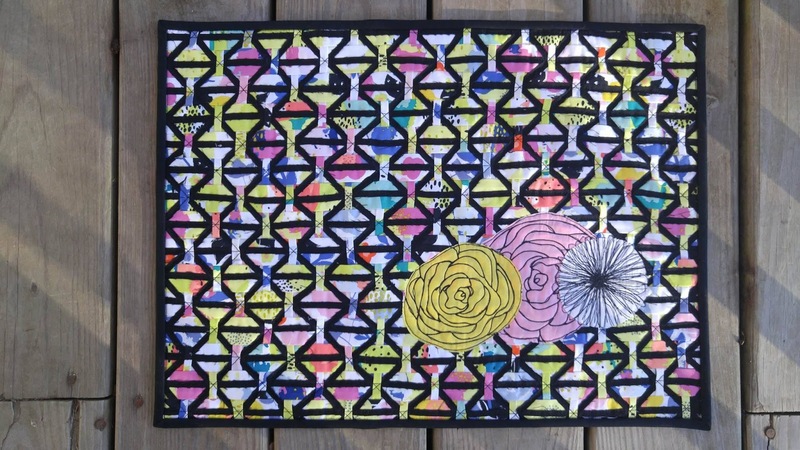 Your projects are gorgeous and you have renewed my interest in trying myself! This technique is on my wish list but I admit I am a teensy (well a lot) bit nervous about it! I'm in love with this pillow. Love all that texture! Good luck with your class! Weaving looks very interesting! I was in Springfield, MO just last yeek. Good luck on your class. I teach my first quilting class in September. I would vote Christmas, but whatever you choose have fun! Thank you for linking to TGIFF! Very cool! 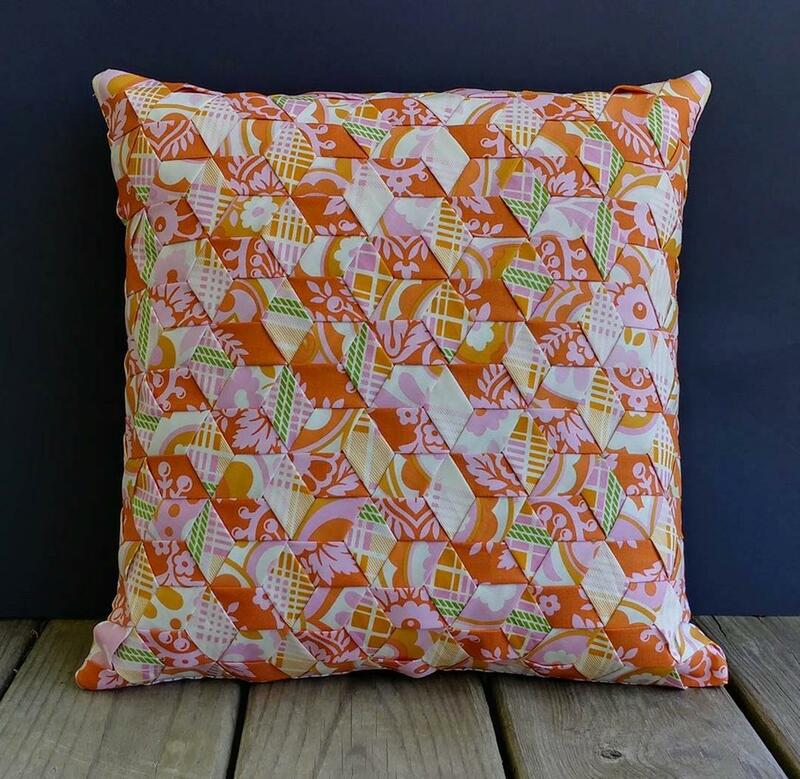 I really like the up parasol fabrics in that last pillow! Good luck for your class!